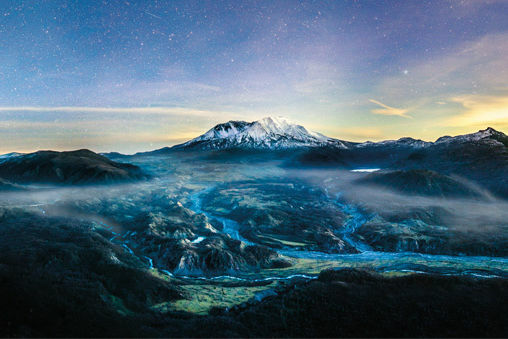 The first sign of what’s now Mount St. Helens emerges in the so-called Ape Canyon Stage, which produces a cluster of short domes in the area—the precursors to the modern mountain, the youngest of the Cascade volcanoes. The mountain’s most violent and active era begins, culminating in the largest lava flow in its history: the Swift Creek, a 600-foot-thick river of lava. 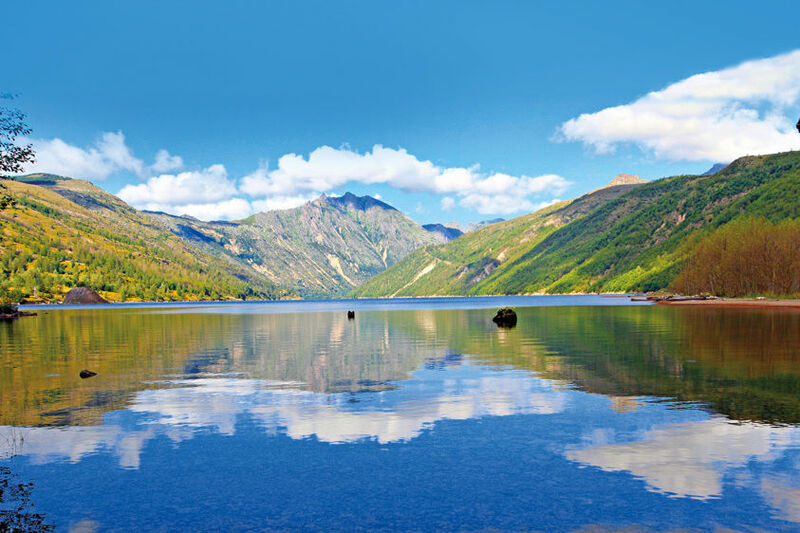 The Spirit Lake Stage of Mount St. Helens’s growth begins, during which the peak grows an astonishing 3,600 feet in just 3,900 years. 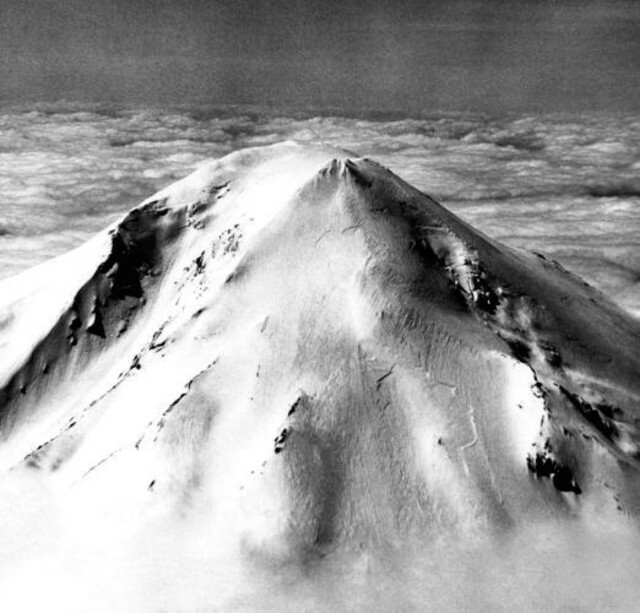 While surveying the Pacific coast, George Vancouver, commander of HMS Discovery, becomes the first European to spot the volcano. Vancouver names the peak for a friend, diplomat Alleyne Fitzherbert, the Baron St. Helens. 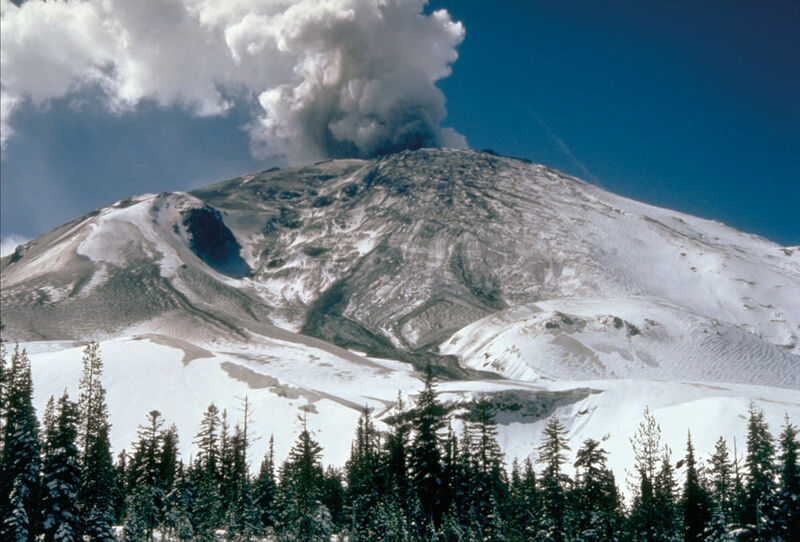 A violent eruption, comparable in size to the explosion in 1980, rocks Mount St. Helens—but the dome remains largely intact. Minor volcanic activity continues intermittently until 1857. 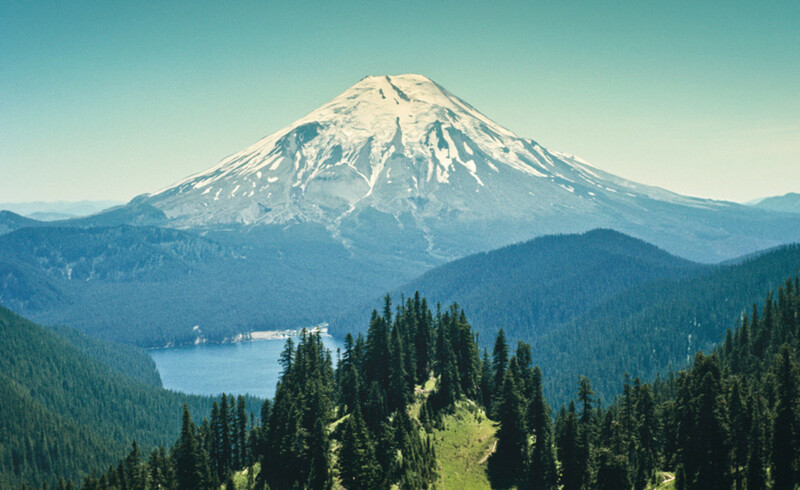 Oregon writer Hall J. Kelley attempts to rename all of the major Cascades peaks after US presidents, with Mount St. Helens slated to become “Mount Washington.” He fails. 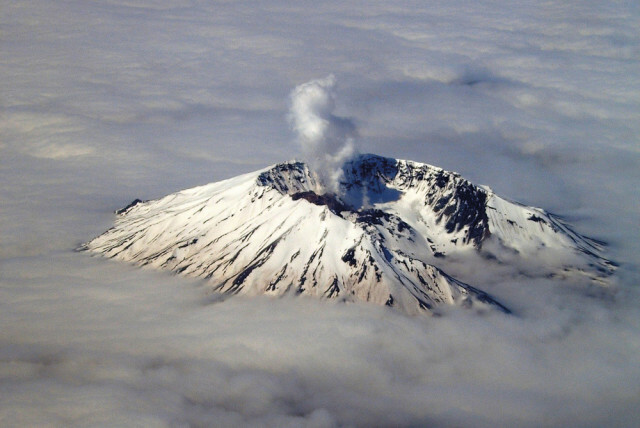 The last time any volcanic activity is reported on the mountain for the next 123 years. Many consider the snowcapped, idyllic peak all but dormant. Five prospectors working a gold claim on Mount St. Helens are attacked in their cabin by giant “hairy apes”—the first and most famous Sasquatch sighting in the area. Small earthquakes shake the mountain—early signs that magma is stirring once again—and slowly create a massive bulge on the volcano’s northern flank. Increasing tremors and mini-eruptions force Washington Gov. Dixy Lee Ray to declare a state of emergency. A 5.1-magnitude earthquake weakens the mountain’s north face, triggering a landslide followed by a lateral blast. 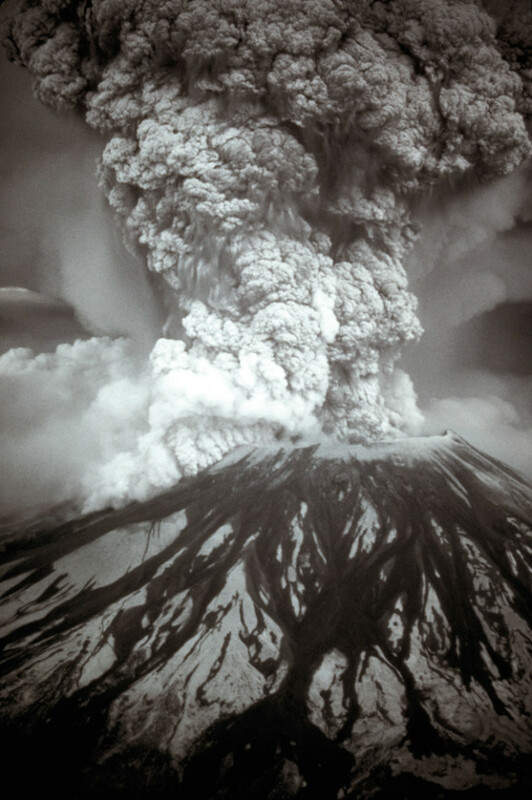 The eruption is the largest and deadliest ever in North America, killing 57 humans (and untold bigfeet). Ash and rock explode 15 miles high and settle over 11 states. 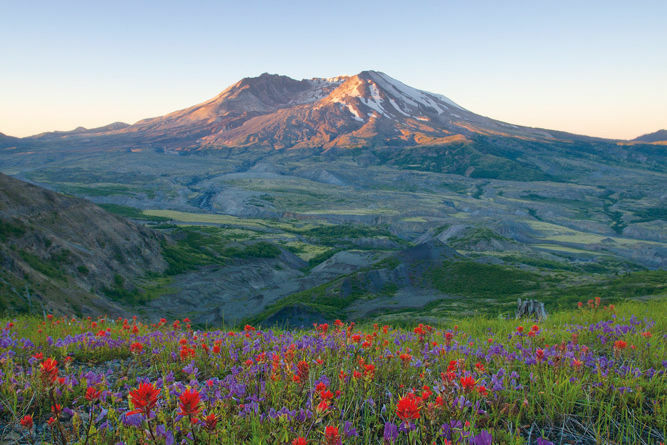 President Ronald Reagan establishes the Mount St. Helens National Volcanic Monument—setting aside over 110,000 acres around the volcano as protected federal land. 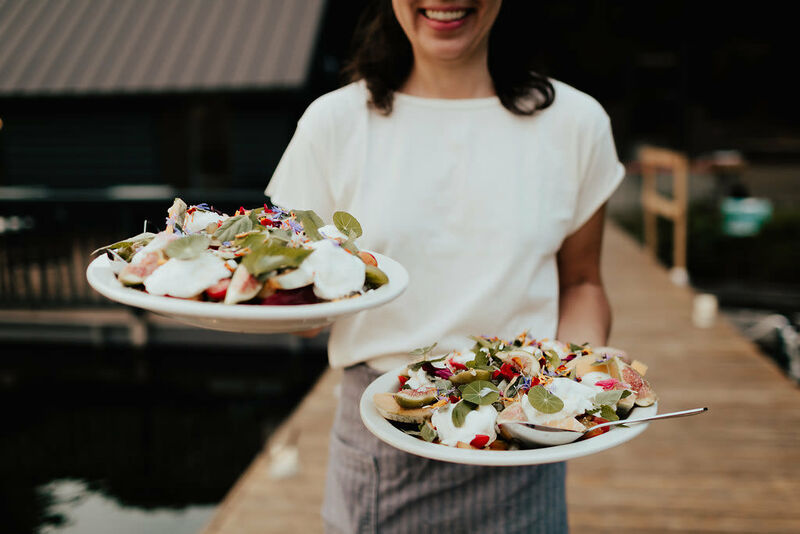 The US Forest Service reopens Mount St. Helens to climbers, establishing a visitors center at Silver Lake. 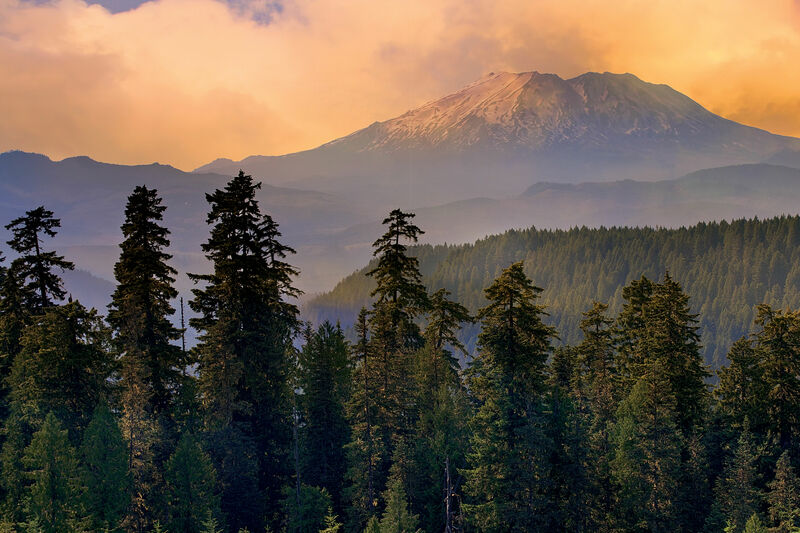 For the next three decades, the park closes intermittently during periods of renewed volcanic activity. A slow-moving eruption extrudes a dumptruck load of lava per second into the crater over nearly four years, building a pile of lava taller than the Empire State Building. Small amounts of lava and steam flow from a fracture in the top of the dome. By July, the flow ends, with no more volcanic activity reported since.